Life painting and still life: Participants will paint a model from life or a still life, and will receive Antonio López and Jorge Abbad advices and critiques throughout the day. Portfolio revision: Individual meetings of approximately 30 minutes will be arranged with Antonio López for portfolio review. Lecture: Jorge Abbad will give a lecture about Antonio’s measure system. Colloquium: A colloquium will be arranged to give the opportunity to participants to ask questions to Antonio López and Jorge Abbad. Includes: Easels, Models, Refreshments, linseed oil and paint thinner. 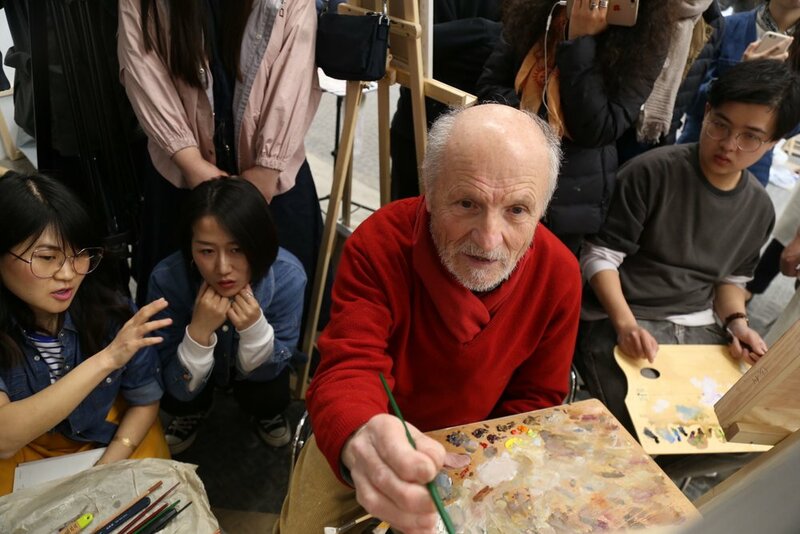 Life painting and still life: Participants will paint a model from life or a still life, and will receive Golucho's advices and critiques throughout the day. Portfolio revision: Individual meetings of approximately 30 minutes will be arranged with Golucho for portfolio review. 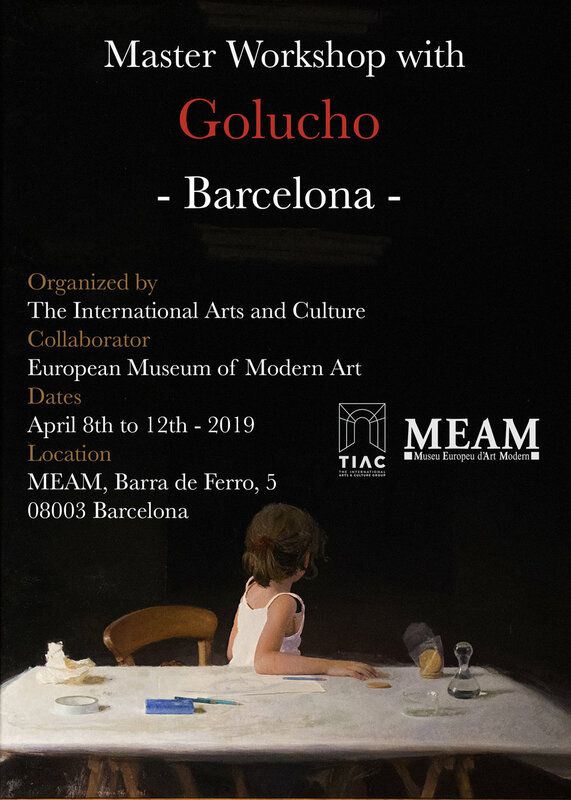 Lecture: Participants will have the opportunity to attend a lecture about Old Masters held by Golucho. Colloquium: A colloquium will be arranged for participants to ask questions about Golucho’s philosophy and technique. Location: MEAM, Carrer de la Barra de Ferro, 5, 08003 Barcelona, Spain. For those attending both workshops transportation from Madrid to Barcelona is included. Accommodation and food is not included, but we can help you with reservations. Both workshops will have Chinese, English and Spanish interpretation. Information about payment methods will be sent by email after application.